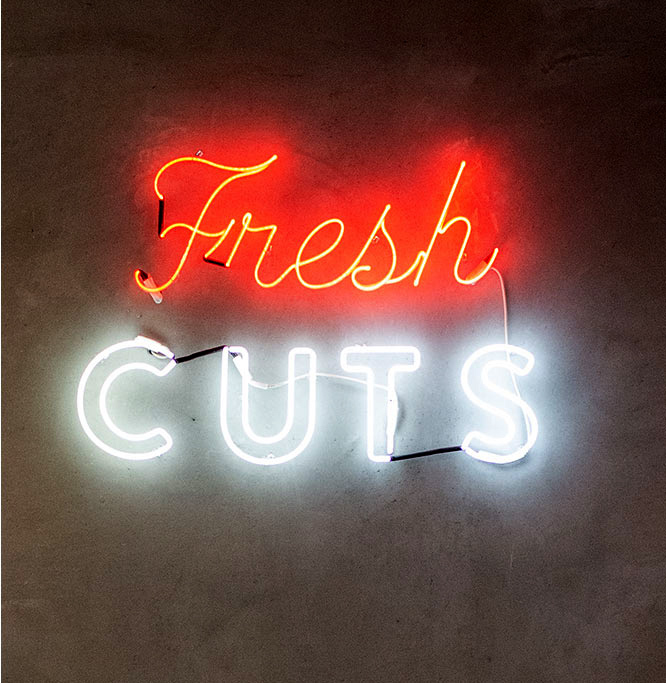 Local Barbershop Co, located in Frisco, TX, was created to fill a gap in the market: quality cuts, in a good atmosphere, without breaking the bank. The market was full of generic chains, overpriced “men only” salons, or hipster shops where families didn’t feel welcome. Local Barber Co wanted to change that. The identity needed to resonate with every member of the family, capture the energy of an urban hangout, and be flexible enough to translate to apparel, wall graphics, stickers and more. 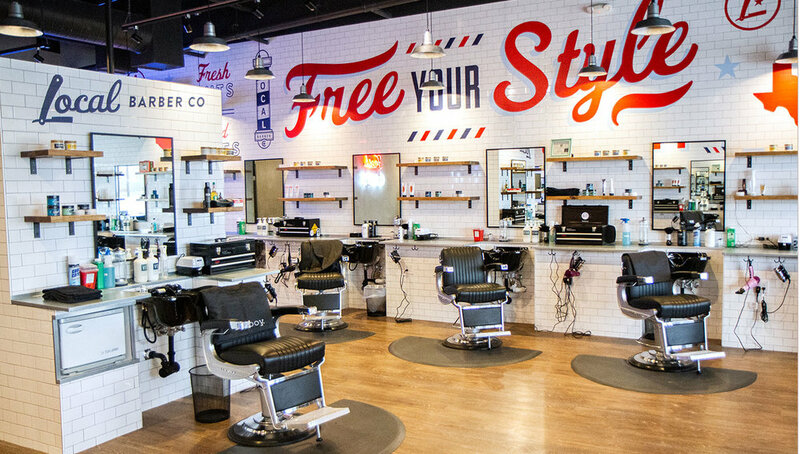 All-american colors were chosen to harken back to traditional barbershops, while playful typography brought energy to the brand. The identity was extended into the space by creating energetic, bold, type-driven graphics throughout. Neon was used to illuminate the tagline, stickers were applied to the checkout counter, and a letter board was used to display the pricing menu. Jarrett Johnston is an award-winning Art Director & Designer living and working in Dallas/Fort Worth, TX. Be the first to know about new projects, news, and resources. We respect your privacy and will not send you junk. The right clients are not always the big ones. Great brands start with great chemistry. So if you think we would be a good fit, let's talk.